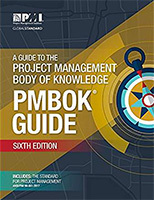 PMI’s PMBOK® Guide, 6th edition. PMP Inputs, Outputs, Tools and Techniques (ITTOs) (laminate). 400 PMP Online Quiz Questions. 800 PMP Online Mock Test Questions. $ 100 off coupon valid for any of our classes (transferable). At least 100 PMP mock questions in order to teach you how to approach answering PMP questions. PMI’s 1000 PMP Online Questions at projectmanagement.com/PMchallenge (available for free). PMI’s PMP Handbook pmi.org/-/media/pmi/documents/public/pdf/certifications/project-management-professional-handbook.pdf (available for free).